Looking for the perfect Father’s Day Cocktail? To make this cocktail properly, you will first have to find a misting vessel. Â Vintage perfume bottles or atomizers work really well and are generally pretty cheap on online auction sites, thrift stores, and antique shops. If you don’t feel like hunting for a such an upscale solution, you can use a glass, aluminum, or stainless steel olive oil mister- but they usually hold quite a bit more liquid than you’ll need. In a pinch, you can also use a small plastic travel spritzer (like the kind you buy in airline toiletry kits for a buck or two), but the acidity of citrus will degrade the plastic over time, so you will have to empty the bottle and clean it after use (not after every martini- just at the end of the night). I recommend taking the time to find a long term misting solution so that it can be used with various liqueurs and fortified wines in addition to the following recipe. 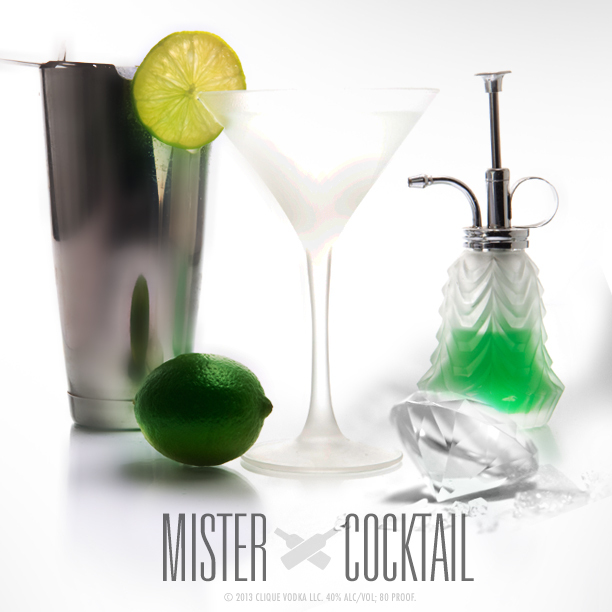 Plus.. Doesn’t a cocktail mister sound like a pretty awesome Father’s Day present….? Just sayin. Using a citrus press, juice 2 limes and strain through a fine mesh strainer to remove any pulp that may clog your mister before funneling in. In a cocktail tin with ice, stir 2 1/2 oz of Clique Vodka until a thin frost forms on the outside of the tin. 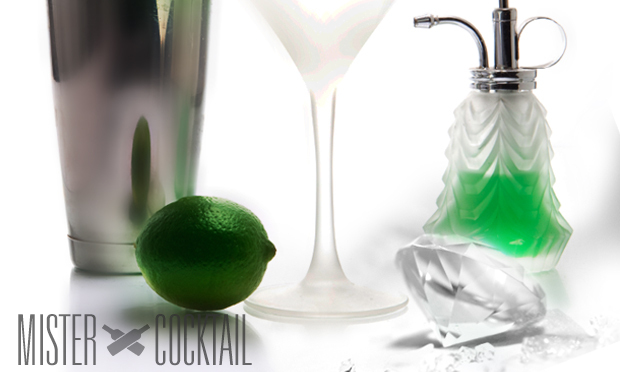 Strain into a chilled cocktail glass that has been misted a few times with lime juice. Garnish with a lime wheel or lime twist. If your Father prefers lemon over lime juice, go ahead and make his day by switching it up- the “Mister Cocktail” is all about the misting method over anything else. Of course, if Dad really favors classic martinis, you can substitute dry Italian vermouth in place of citrus juice.